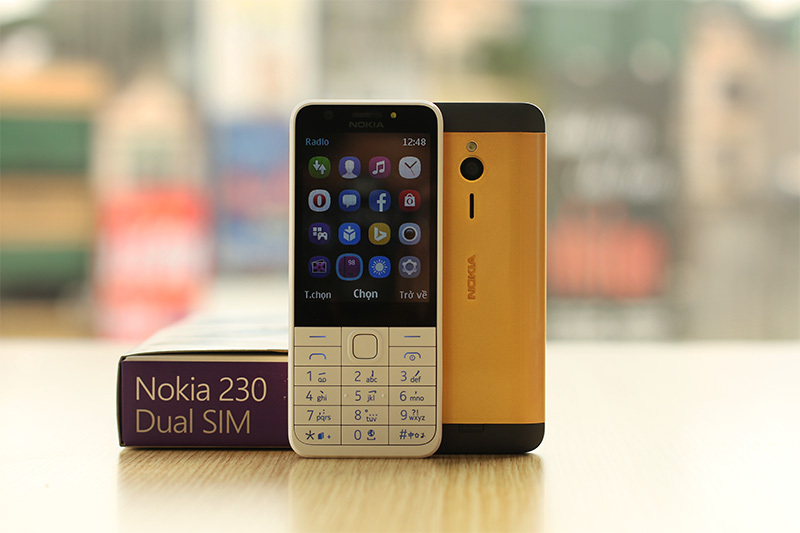 Karalux introduce a cheap gold-plated Nokia 230 Dual SIM with healthy battery in tidy design in Vietnam. Microsoft has introduced popular phones called Nokia 230. The flagship is a basic device running Series 30+ with a physical keyboard. Nokia 230 owns a metal frame and has same shape as many popular cell phones of Nokia in the past. Specifications of the model include: 2.8 inch 240 x 320 display, 16 MB RAM. It has two 2 MP cameras on the back and one on the front and Series 30+. The phones are equipped with preloaded apps such as Opera Mini browser, Bing Search and MSN weather. It supports dual-band GSM 900 MHz and 1800 MHz, Bluetooth 3.0, FM radio. Another useful feature is widely used as a portable battery lights. Another useful feature is that Nokia 230 is equipped with “flash-light” to use in dark; you can easily turn on its flash-light to search the crashed object, or open the door. This useful feature is unavailable in Nokia 515. Furthermore, each Nokia 230 is given an 8G memory card. 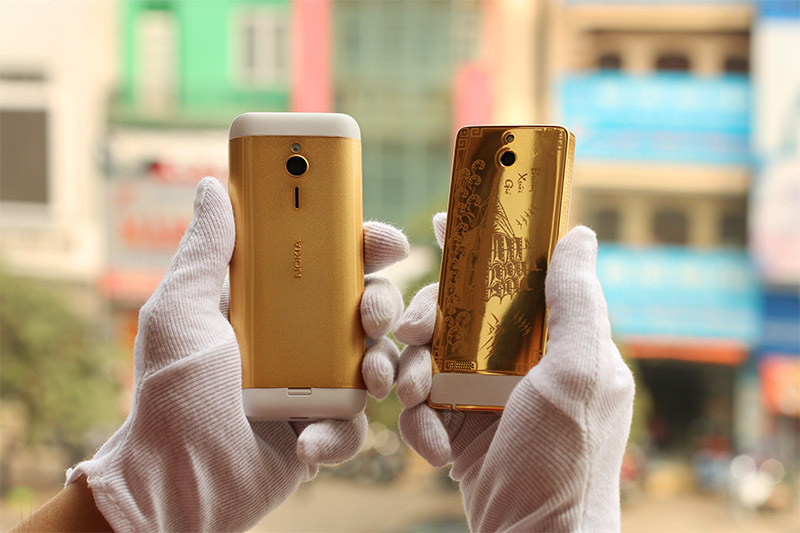 Shortly after the Nokia 230 was first sold in Vietnam, Karalux engineers have rushed into gold-plate this version. Like the previous Nokia 515, the gold-plating process is carried out easily and quickly, the disassembly is even simpler. 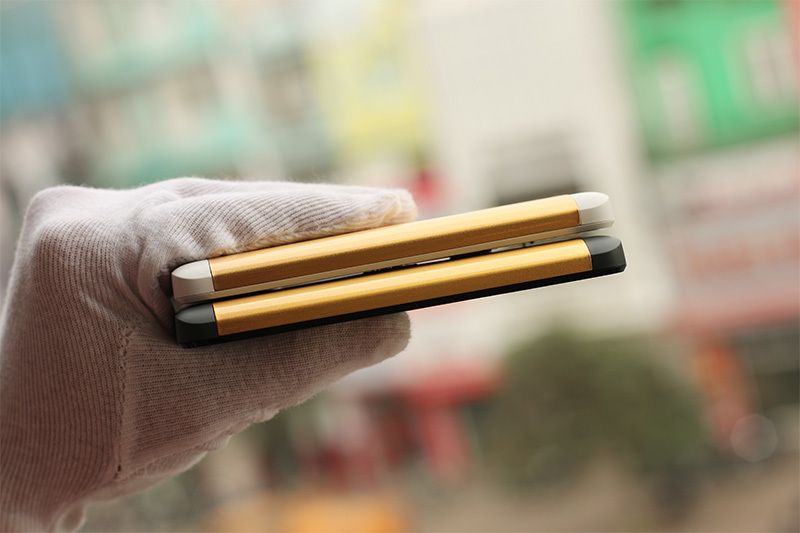 It gives the strong feelings thanks to the hard thick aluminum back panel holding close the edges of the screen. It takes from 3 to 4 continuously working hours to complete a gold-plated Nokia 230. 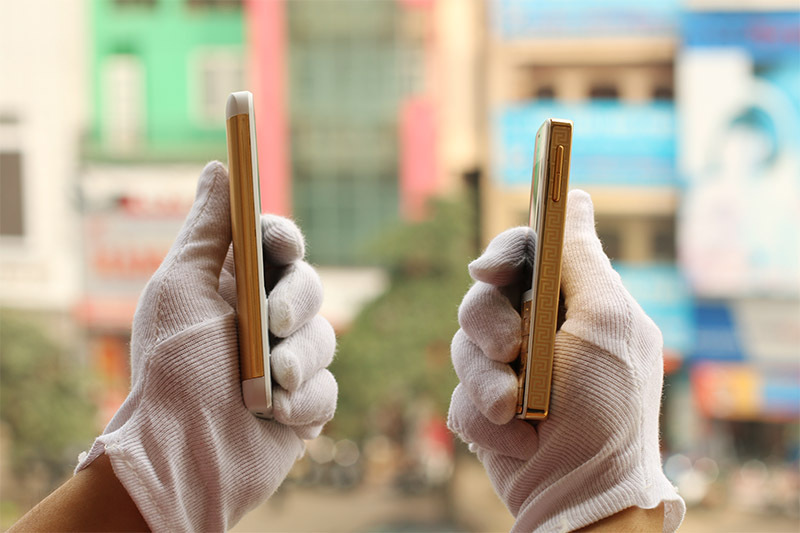 Like other Smartphones, after being gilded, Karalux engineers coat a layer outside to protect its gold surface against wearing and scratching. If you have owned a Nokia 230, please send to Karalux to gold-plate at VND 1.5 million. Or you can buy a gold-plated Nokia 230 at Karalux stores at VND 2.8 million. Karalux is now exhibiting models at nationwide stores.